JANSSONIUS -Lumen historiarum per orientem. JANSSONIUS, J. / HORNIUS - Lumen historiarum per orientem. Map maker : JANSSONIUS, J. / HORNIUS. Date : Amsterdam, ca 1690. Size : 15.0 x 18.7 inches. / 38.0 x 47.5 cm. 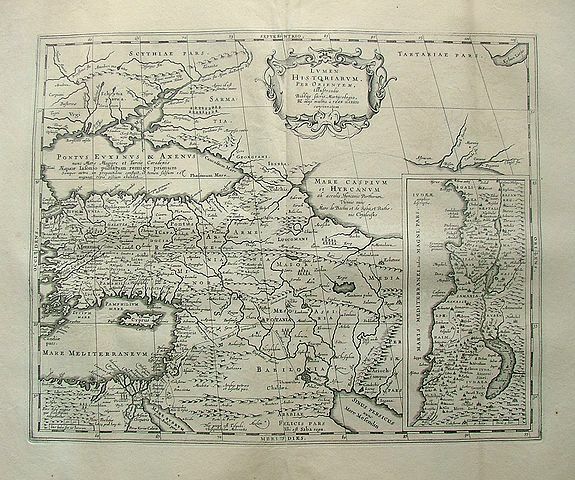 Description :From the Hornius edition of the Ancient Atlas by Janssonius. No text on verso. Condition : Blue spot (could be from contemporary) on the "o" of the word historiarum.